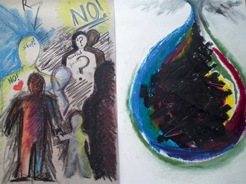 Art Psychotherapy is a form of therapy that uses creative media & a range of expressive art forms to inform, explore and enhance communication. Clients who are referred to, or elect to see an art therapist, need not have previous experience or any skill in, or affinity for the arts. 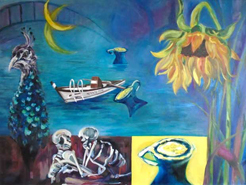 Nor is the art therapist primarily concerned with making an aesthetic or diagnostic assessment of a client’s image/s. The overall aim is to support change and growth on a personal level through the use of art materials in a safe and facilitating environment. Jungian Analysis is the clinical aspect of Analytical Psychology which involves the analyst and patient working together to bring unconscious elements of the psyche into conscious awareness. This psychotherapeutic process aims to achieve a more balanced and holistic relationship with the self by facilitating new meaning and understanding, working with the tension of opposites, further developing the personality, improving mental health and relieving psychological suffering. This list is not exhaustive, and if you would like to discuss your specific concerns, please feel free to get in touch.